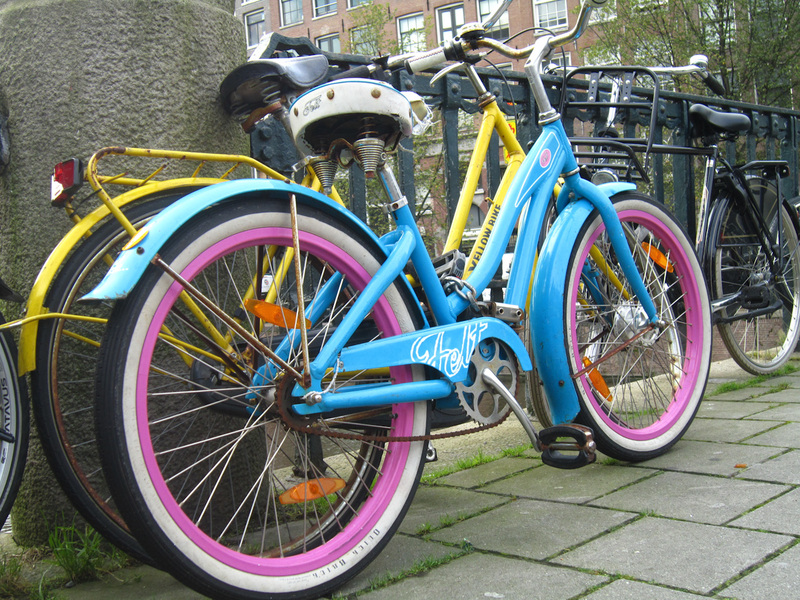 Cites like Amsterdam & Copenhagen have turned their cyclist reputations into a marketable concept: enter Amsterdamize and Copenhagenize, featuring dedicated bicycle experts and consultants that draft city cycling blogs and run research projects associated to the concept of urban cycling. 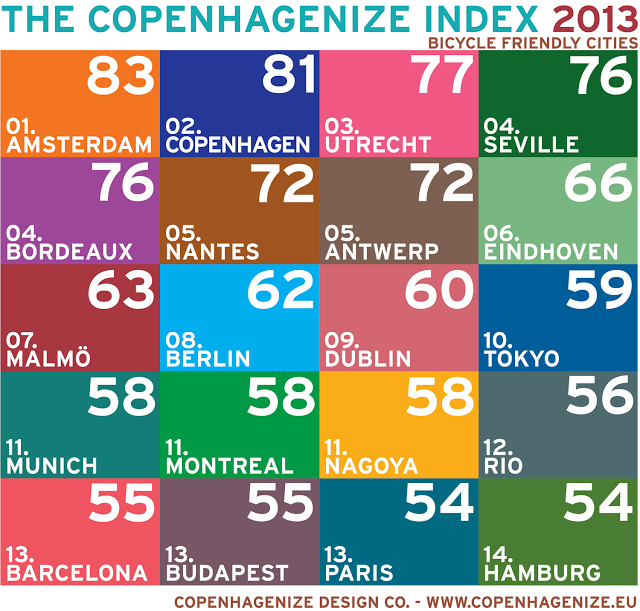 Copenhagenize recently released their 2013 Bicycle-Friendly Cities Index, featuring many cities that I have either lived in or cycled through, such as Amsterdam, Copenhagen, Utrecht, Seville, Malmö, Berlin, Budapest, etc. Living the last two years in Amsterdam, and before that in Budapest and Malmö (Malmö is also 20 minutes by bridge from Copenhagen, and yes you can take your bike on the train) the bicycle is really the only form of transport. (That is, combined with good public transport and walking facilities). If you want to know more about the index, check the link on what criteria they used to select these cities. (There are a few other cities that I might have added to the list, but I’m happy that some of my favourites are featured). Meanwhile, I look forward to exploring the other cities I haven’t yet cycled through!